Your smile only has one chance to make a first impression. Make it a great one! Receiving teeth whitening treatment(s) from Arlington cosmetic dentist, Dr. Stephen Ratcliff, is one of the fastest and most effective ways to take a big step toward the smile of your dreams. Imagine yourself with a bright and radiant smile. Will that give you more confidence? Will you feel more comfortable with yourself and able to share your smile more willingly and more often? Dr. Ratcliff offers multiple teeth whitening (or teeth bleaching) options to patients in Arlington and the surrounding area. Determining the best teeth whitening solution for you will depend on the shade and condition of your teeth, any sensitivities you may have, your budget and other factors that Dr. Ratcliff will cover with you during your visit. Rest assured that any teeth bleaching treatment you receive from our Arlington office, north of Mansfield, TX, will be safe, effective, long-lasting, fast, convenient and, above all, expertly administered. ZOOM TOOTH WHITENING (8 shades lighter) | The Zoom tooth whitening treatment takes about 45 minutes and is the most effective (in terms of speed and shade) teeth whitening treatment we offer. Zoom tooth bleaching patients are amazed at how dramatic the results are in so short a time. Zoom allows you to walk into our Arlington practice with dull, faded teeth and walk out with a vividly bright and white smile. AT-HOME TOOTH BLEACHING TRAYS (6 shades lighter) | Take-home kits allow patients like you to self-administer the teeth bleaching treatment in the comfort of your own home and on the convenience of your own schedule. The take-home teeth whitening procedure takes about 7-14 days total. Because it is a more gradual tooth bleaching procedure you will not notice immediate changes like you would experience with Zoom tooth whitening, but by the time your whitening treatment is complete, you should see the dramatic results you crave. TEETH WHITENING STRIPS OR PAINT-ON GEL (3-4 shades lighter) | Using teeth whitening strips or paint-in gel will help you gradually lighten your teeth. TEETH WHITENING TOOTHPASTE (1-2 shades) | By brushing consistently with teeth whitening toothpaste, you can achieve a slightly brighter smile in about a month. Results tend to fade quickly if you stop using the teeth whitening toothpaste and it is only effective on surface or superficial stains. 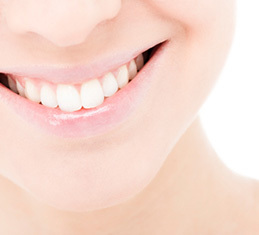 For lasting results, you may want a stronger whitening treatment. A brief animation depicting the teeth whitening process using bleaching trays. Call us today if you would like to learn more about how cosmetic dentist, Dr. Stephen Ratcliff, can help you create the pearly white teeth you’ve dreamed about! He brightens smiles for patients all over the Fort Worth area, including Grand Prairie and Mansfield, TX!